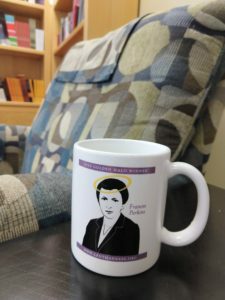 If you want your own massive drinkware collection, you can also still get your 2018 Golden Halo winner mug featuring Anna Alexander or a 2016 Golden Halo Winner Pint Glass featuring Dietrich Bonhoeffer. In the meantime, drink up, vote, and prepare to crown the 2019 Golden Halo winner! 4 Comments to "Free Mug Winners!" Hello. You forgot to let me win. Please call ASAP. I’m not bitter. Coffee may be but I’m ok. CONGRATULATIONS!! Enjoy your coffee, tea, hot chocolate or whatever you wish in them! The above is one of the funniest SEC posts yet – lol! Thank you for lightening up Lent.